California State Senator Jenny Oropeza. Photo courtesy of District SD28 staff. It is with great sadness that we have learned of the passing of our dear friend, former Board Member and State Senator Jenny Oropeza. 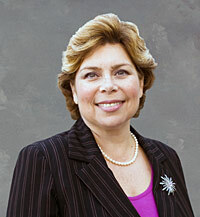 Senator Oropeza was elected as the first Latina to the Long Beach City Council in 1994. She previously served on the Long Beach Unified School District Board of Education. As a Metro board member from 1996 through 2000, she represented the southeast cities of Los Angeles County and served on MTA’s Planning and Programming, and Construction committees. While with the MTA, she also chaired the Goods Movement Committee of the Southern California Association of Governments. Senator Oropeza was elected to the California Assembly in 2000, and in 2002 was named chair of the Assembly Budget Committee. From 2004 to 2006, she chaired the Assembly Transportation Committee. Senator Oropeza dedicated her life to public service and championed many issues, from transportation to public health. She fought tirelessly for her constituents and had a steadfast passion for the well-being and quality of life for those she represented. Senator Oropeza was a strong, brave and forceful advocate and a true public servant. Our thoughts and prayers are with her family during this difficult time. She will be truly missed.